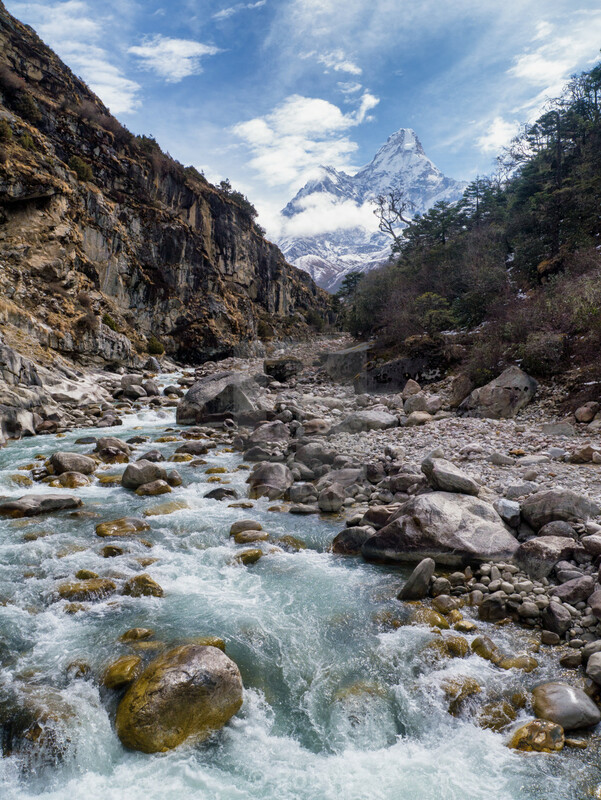 River valley in the Himalayan mountains, Nepal. Everest Base Camp route. Aprox. 3800 meters altitude, close to Tengboche. April 15th, 2015.